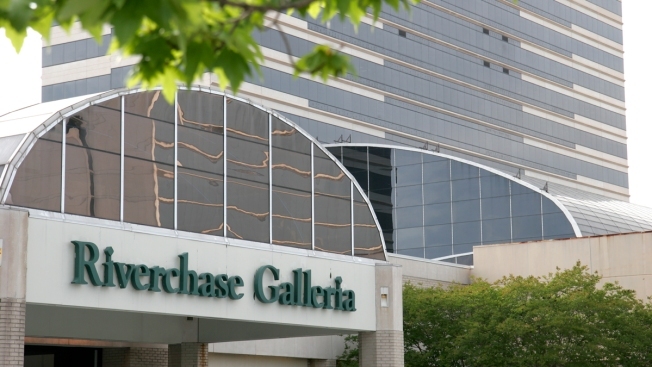 The entrance to Riverchase Galleria Mall. Shoppers were ushered out of Alabama's largest shopping mall, which closed about 40 minutes early after a brawl broke out the night before Black Friday. AL.com reports that police and firefighters responded to reports of fighting in the Riverchase Galleria in the Birmingham suburb of Hoover, Alabama, around 11 p.m. on Thanksgiving. Video posted by Al.com shows a chaotic scene. Hoover Fire paramedics treated at least one person for minor injuries. Police said the fight was of a personal nature, and not over sales. Hoover police Lt. Keith Czeskleba say officers also received calls of gunshots fired outside the mall near the Macy's parking lot, but responding officers believe it was someone shooting off fireworks. The mall was open again Friday. Police said they would have additional officers on duty.